LOW Frantically kicking through swarms of dogs. WTF An underexplored paint theme. For a game with zero buzz, created and released by a team I’ve never heard of, Youropa is remarkably tight, polished, and well-thought-out. This might be explained by the fact that it was in development for over a decade, with the first footage having surfaced in 2007. Whatever was involved in this process, Youropa seems to have been slow-cooked and carefully refined into something charming and unique. Although there’s virtually no plot, the general premise is that some unexplained catastrophe has transformed the streets of Paris into a series of Super Mario Galaxy-esque mini-worlds. 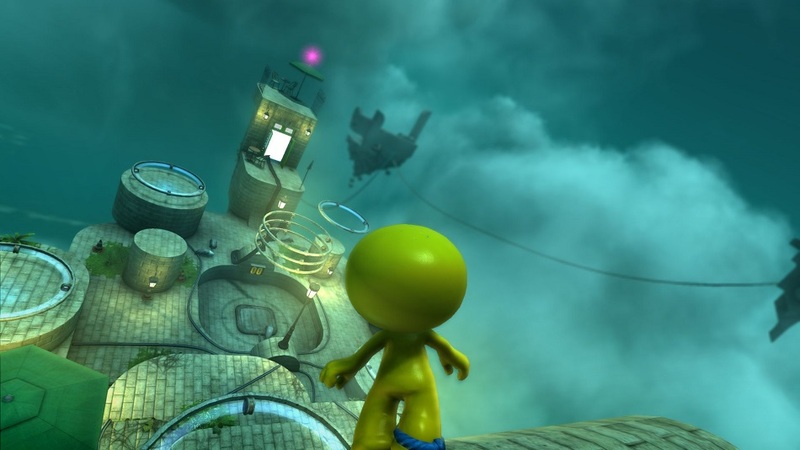 Although these levels are suspended in midair, gravity still applies to the blobby, nondescript protagonist, who’s reliant on his suction cup feet to traverse the terrain from (theoretically) any direction. The trick is that the character can’t transition across sharp angles, and therefore can only change his orientation when the curvature of the land allows for it. 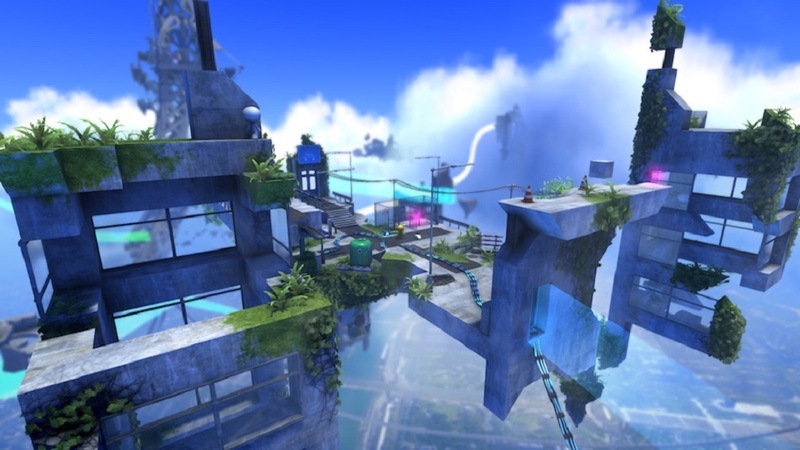 So the levels are navigational puzzles – 3D mazes, in a sense, except that instead of constricting us with walls, developer frecle ApS limits our movement with the constant threat of losing our footing and tumbling out of the sky. Though the constantly-tilting camera angles are disorienting at first (and possibly motion sickness-inducing for those prone to it), one of Youropa’s greatest strengths is that it’s largely a relaxing experience. Enemy encounters are limited so players can study their surroundings and adjust to the game’s rules – how to transition from one surface to the next, where to use Youropa’s constant pull of gravity to one’s advantages – at their own pace. 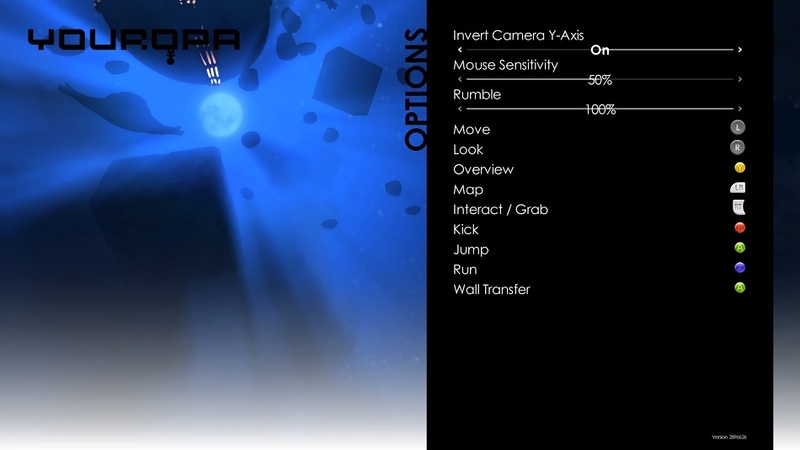 To help out with that, one of the first abilities players obtain in Youropa is the power to pull the camera all the way back and scrutinize the entire layout of a level. This means that nothing is ever poorly communicated through obscure angles. Youropa is also sharply presented with crisp colors and liberal use of street signs to nudge players in the appropriate directions, but the developers took that extra step to ensure that they didn’t cheapen the game’s puzzles by limiting what the player knows. There’s an almost metroidvania-esque quality to Youropa’s world design in how it wraps around and frequently forces players to backtrack, making new sense of old obstacles. Surprisingly, though, most of our ever-expanding moveset consists of functions that most games would give right out of the gate – running, jumping, attacking, and even just interacting with items are all skills that the designers gradually dole out. This initial stringency is an effective, piecemeal method of teaching us about Youropa’s rules. This puzzle-platformer is heavily fixated on the “puzzle” half of that equation, its level design more concerned with logic than reflexes. So when reflexes finally are required – particularly when using the gravitational physics to manipulate objects or land tricky acrobatic moves – it’s rarely overwhelming. Having said that, Youropa’s lowest moments are when it leans too heavily on action or combat. There’s too much stealth in constrained environments that don’t feel designed for it, and having to fend off swarms of doglike creatures with nothing but a single, pitiful kick attack is an exercise in button-mashing. A handful of clumsy vehicle sequences also feel weirdly out of sync with such an otherwise deliberately-paced puzzler. Disclosures: This game is developed and published by frecle ApS. It is currently available on PC. 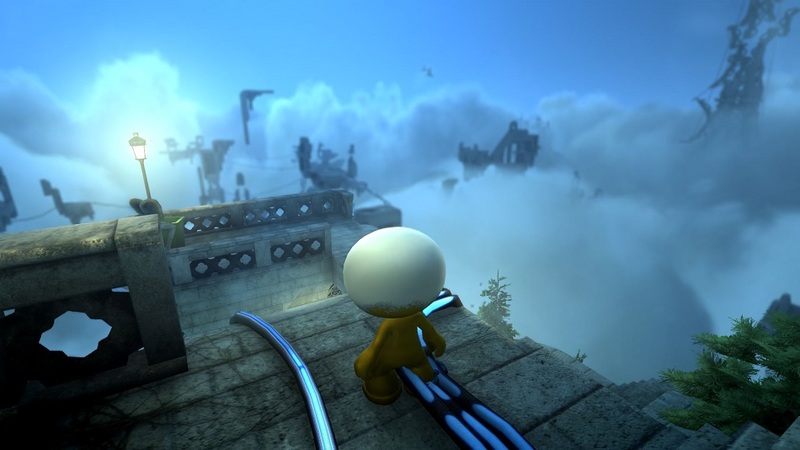 This copy of the game was obtained via publisher and reviewed on the PC. Approximately six hours of play were devoted to the single-player mode, and the game was completed. There are no multiplayer modes. Parents: As of press time, this game has not been rated by the ESRB. There’s nothing remotely objectionable about it. Deaf & Hard of Hearing Gamers: The game has no dialog, and sound has no vital role. I played much of the game without sound and had no trouble. It’s fully accessible.